Welcome to the Emerald Empire Young Marines’ web site. The Young Marines is a premier youth drug demand reduction program. We talk to your child in a straight forward no-nonsense-manner about drugs and how they can affect them, and yes we talk about alcohol and tobacco usage. 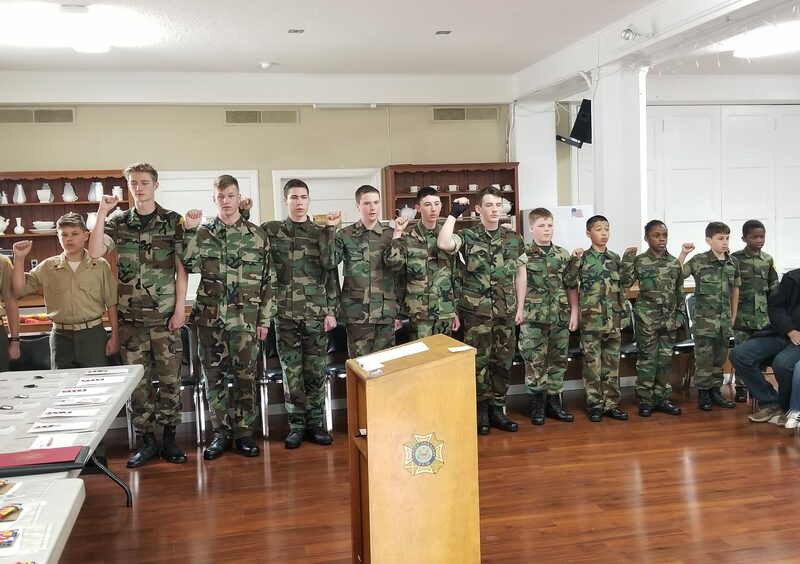 The Young Marines is not a recruiting tool for military service. Our goal is to keep your young boy or girl in school until graduation. Hopefully along the way they have learned some leadership skills that will serve them in whatever direction they decide to go after leaving the program. We want your child to be and remain physically fit. We start every meeting with physical fitness exercises and conduct a quarterly physical fitness test so your child and we can see how they are progressing. We want your child to live a healthy drug free lifestyle. To that end we conduct quarterly drug demand reduction training along with impromptu classes on drug usage. We provide your child an opportunity, if they earn it, to attend leadership schools. We believe the future of our great country lies squarely on the shoulders of our youth. Unfortunately there are few opportunities for our young people to develop the skills necessary to lead. The Young Marines provides your child that opportunity under the guidance of the registered adult staff. Every member of our adult staff has passed an extensive background investigation conducted by our National Headquarters located in Washington, D.C. In addition we practice what is termed “two deep leadership.” This means at no time will your child ever be alone with a single adult leader unless there are other children also present. Any time we have a meeting with your child two or more adults will be present. We do not teach your child military tactics but we do teach them field skills such as how to read a map, use a compass, and setup a campsite. We also give them an opportunity to practice what they were taught by going on overnight camping trips. We provide your child with the opportunity to receive advanced first aid training. We teach them teamwork. We hold them accountable for their actions.